3R Audio has announced the release of Space Designer Manager 2, a tool to work efficiently with Logic Pro’s popular Space Designer Impulse Reverb. 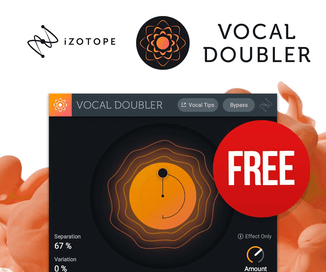 Space Designer Manager extends the usability of Logic’s popular Space Designer impulse reverb and is it’s perfect companion. The ever and ever growing number of 3rd party and user impulse responses shows Space Designer’s drawback: Before you can use a impulse response file you must load it into a setting and save it. If you have hundreds or thousands of files this will be an exhausting and almost impossible task, because you have to do it one by one. Space Designer Manager keeps you being creative because it does the job automatically for you in seconds. 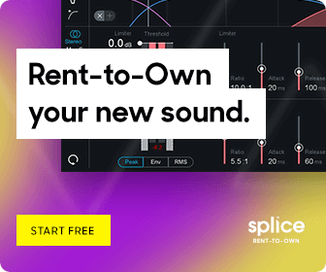 Furthermore it can find and relink impulse responses back to the setting files they belong to and batch modify important parameters of existing settings like dry and wet level, volume and latency compensation. New Modifier added to batch modify the most important Space Designer parameters. An all new Info Drawer featuring a complete audiofileplayer plus additional infoview for convenient prelistening of impulse responses. 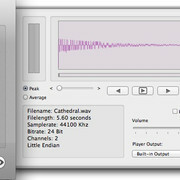 New option to add the duration of the impulse response as a prefix to the setting name. New option added to let the Preferences and Info Drawer open on startup. Space Designer Manager 2 is available to purchase for €29 EUR. The upgrade from v1 is €9 EUR. 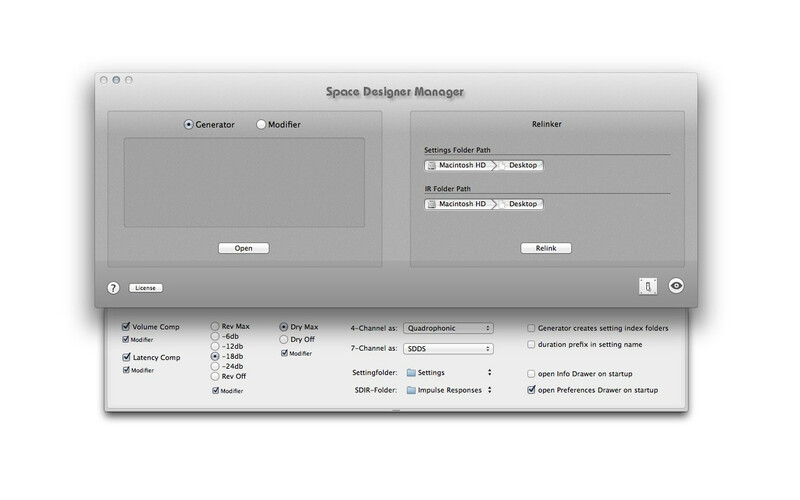 It is free for users who have purchased Space Designer Manager after May 1, 2011. – The selection of destination paths has been changed to be compliant with sandboxing. – The Gui of the Drag-and-Drop area has been renewed. – Minor internal improvements have been made. An updated demo version is available.